Today’s topic is highly sensitive people and depression. 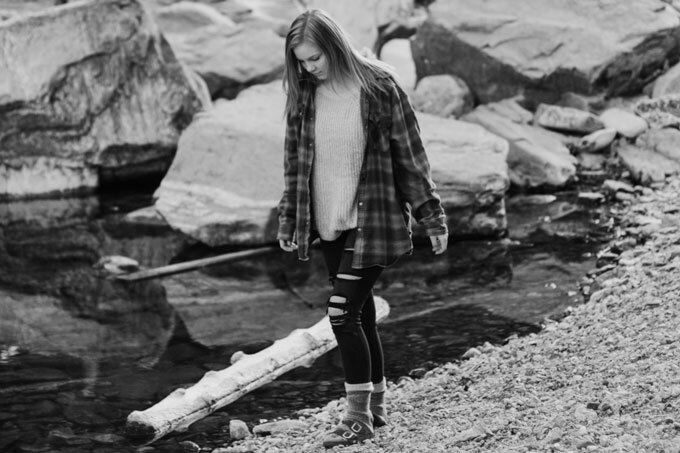 A dear reader recently contacted me, because she is having a hard time figuring out if her teenage daughter is seriously depressed or if she is just being a typical teenager who also happens to be a highly sensitive introvert. This got me thinking about how a lot of what we do as HSPs must look terribly alarming to non-HSPs. Take, for example, some of my own antics over the past few years. I walked away from a successful career with a six-figure income. I destroyed my social life, ending roughly 99 percent of the “acquaintanceships” I used to participate in. I insisted on creating a schedule that allows me to withdraw from all human contact for several hours most days. And to top it all off… Whenever I would hit a low mood, I stubbornly refused to talk about it and instead went to hide in my bedroom behind closed doors. Yes, some people may see me as loonie-bin material, but guess what? I don’t care. I don’t care, because I feel healthier and happier now than I ever have in my 40+ years of life. 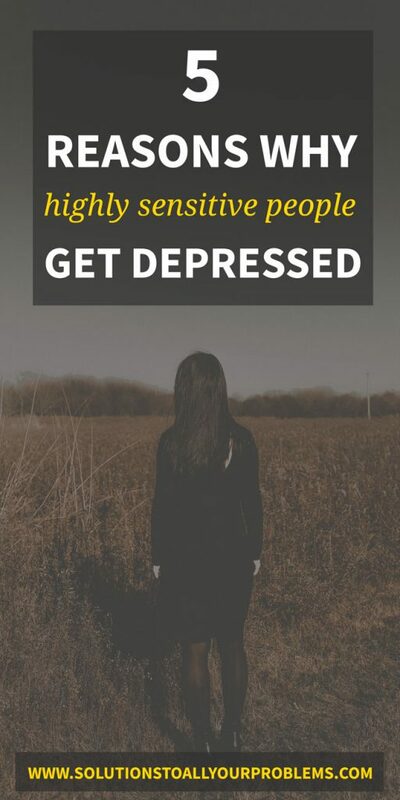 With that being said… In certain circumstances, highly sensitive people can be more vulnerable to depression than non-HSPs. I’m an ex-poster-child of HSP depression myself. There are times when concern is warranted. 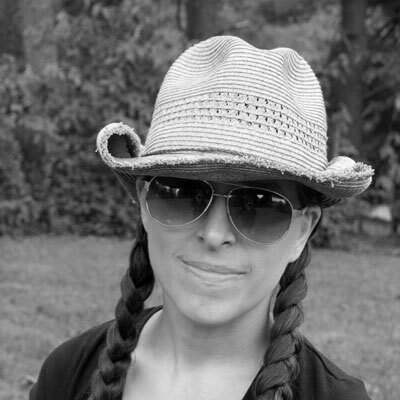 We shouldn’t just write off all of our weird behaviors as HSP-quirks. 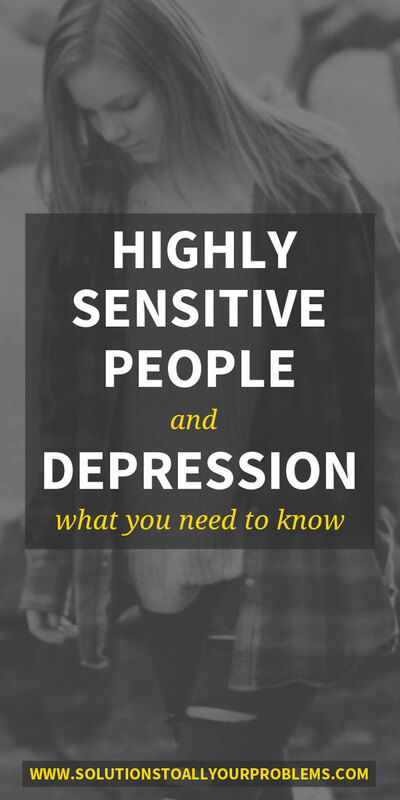 So let’s have a closer look at highly sensitive people and depression. What makes us more vulnerable to depression? How can you tell if a highly sensitive person is depressed? And how might a highly sensitive person’s recovery from depression look different from other people? What Makes Highly Sensitive People More Vulnerable To Depression? HSPs are more likely than non-HSPs to become depressed, especially if they have had a troubled childhood or otherwise stressful life. Here’s why. Highly sensitive people tend to get overstimulated more easily than non-HSPs. Stimulation is anything that wakes up one’s nervous system and it takes less to wake up an HSP’s sensitive nervous system than it does to wake up a non-HSP’s nervous system. It also follows that the same amount of stimulation that will make a non-HSP comfortably alert might cause overarousal for an HSP. Overarousal or overstimulation is a feeling of being frazzled and out-of-control. And when you are feeling that way for a prolonged period of time or too frequently, it stresses you out and tires you out. It’s like becoming hung over from experiencing life. It’s mentally and physically exhausting. It often comes with bodily symptoms, such as headaches, that make it harder to bear. It clouds your thinking and makes it inordinately difficult to problem-solve. It can make you highly irritable or a teary mess or both. It basically feels like your brain is so tired it starts to shut down. Now, put yourself in the shoes of an HSP who has either never heard about the HSP trait or doesn’t really get what it means… You don’t know what overstimulation is. You don’t know why it’s happening to you. You think you are the only one who this happens to. You have zero clue how to prevent it or manage it or overcome it. In that situation, it’s not terribly surprising that you will start feeling less than positive about life in general and eventually sink into the hopelessness of depression. And to make matters worse, overstimulation isn’t just “in your head”. It’s a physiological process. It’s stress. Chronic overstimulation leads to chronic stress leads to depression. Depression has many potential causes. And since highly sensitive people are more sensitive to pretty much everything, they are also more sensitive to potential causes of depression. This is one of the reasons why you might see siblings coming from the same dysfunctional family environment with vastly different outcomes. People who are exposed to prolonged stress as children risk developing a dysregulated stress response system. They grow into adults whose bodies overreact to stressors and have a harder time returning to a normal state after being stressed. HSPs are more likely to be vulnerable to these influences, because they absorb the circumstances more and their bodies are more sensitive to stressors to begin with. All these things have the potential to affect us more easily and more deeply, therefore making us more vulnerable to depression. Highly sensitive people tend to have stronger emotional reactions – both positive and negative – than non-HSPs. This means that when we feel bad, we feel REALLY bad. We might cry more easily. We might get hyper emotional. We might go into a place that’s really low and really dark. And when we don’t know what to do with these emotions… How to frame them… How to respond to them… How to manage them… How to relieve them… We might get stuck in that low, dark place, not knowing how to find our way out. One of the hall-marks of high sensitivity is depth of processing. We tend to process information more deeply than non-HSPs. We like to think a lot. We like to consider and ponder and dream and fantasize. This is one of our greatest strengths, but it can be a double-edged sword when our brains are mostly focused on imagining all the ways in which things can go wrong and dwelling on everything that is bad. Again, when we don’t know how to manage our thought processes… When we don’t know how to examine or objectively assess our own conclusions, we might get stuck in a scary dark place and not know how to get out. Highly sensitive people are a minority. We constitute an estimated 15 to 20 percent of the population. Although that’s not a tiny minority, many of us have learned to blend in and hide our true selves. So even though you may have run into many other HSPs over your lifetime, you may not know it. This can make an HSP feel very alone. Different from everyone. Somehow flawed. Broken. A misfit in a society that thrives on speed and noise and stimuli. To exacerbate these feelings, HSPs tend to have high levels empathy, which makes them sensitive to other people’s feelings and opinions. So the inevitable “you need to toughen up” and “quit being so sensitive” and “do you have to be so high-maintenance” comments will make matters worse. We feel like we don’t belong. We feel like we don’t have a place. We feel alone. How Can You Tell If A Highly Sensitive Person Is Depressed? I’ve known that I’m an HSP for quite a while now. I know what it means, I know I’m not alone, and I have learned to see it as a strength more than a weakness. I know how to take care of my body and limit my exposure to potential stressors. I know what causes overstimulation for me and how to avoid it for long periods of time. Yet, after years of work, I’m STILL not completely immune to overstimulation. Sometimes life gets away from me. Sometimes I push myself to do more than I know I should. Sometimes I’ve been doing well for so long that I forget I have limits. It doesn’t happen that often anymore, but sometimes I still get overstimulated – like waaay overstimulated – and it’s not pretty. Because when I feel bad, I feel REALLY bad. I become a big ball of emotion. I sink low. I cry. I exaggerate. I generalize. I say that I can’t live like this anymore. I say that I hate the world. I say that I try so hard but nothing is ever enough. I say that I just can’t stand anything anymore. I say that life is too hard and I don’t have what it takes. You know… All the things that depressed people say. Yet, for me, this is not depression. I have been depressed, and when I was, this is how I was feeling the vast majority of the time. Now, these lows are a blip. They don’t last more than a few hours max, because I know I simply failed to respect my limits and I just need to go sleep it off. I’m not saying it’s acceptable or desirable to go that low and my goal is to get to where I can avoid lows like this altogether. But it also doesn’t help to overreact to something that happens infrequently and is fixed by a few hours of sleep and solitude. So based on my own experience, an HSP who is NOT depressed might still have some pretty low lows. But for an HSP who is NOT depressed, these lows don’t last. An HSP who is NOT depressed will bounce back fast. She is content a majority of the time. She knows what she needs and how to give it to herself. She is out in the world, but consistently retreats inward to rest. She engages in activities that give her life meaning. She looks forward to the future. On the other hand, a depressed HSP can’t bounce back or has an increasingly hard time doing so. A depressed HSP is feeling hopeless much of the time. A depressed HSP lacks confidence in herself. A depressed HSP lacks balance, either being out in the world way too much or barely at all. A depressed HSP lacks meaning and lacks excitement about the future. So to figure out whether an HSP needs some kind of help or intervention, I wouldn’t give very much weight to intensity of feeling in any one instance. Instead, I would look at mood and outlook on life over time. How Is Depression Recovery Different For Highly Sensitive People? The good news is that while HSPs are more affected by a bad environment, they are also more affected by a good environment. So as long as they get what they need, the chances of recovery are high. P.S. Need A Plan For Keeping Stress And Anxiety At Bay? Do you have a hard time keeping your stress levels manageable? If yes, you might be interested in my Conquer Your Anxiety eBook Bundle, a step-by-step program for HSPs to anxiety-proof your body, create a tranquil lifestyle, and adopt a system for processing fears and worries so that they never get out of control. Click here to find out more!